Here is my Tamiya BT-7 Model 1935, kit No. 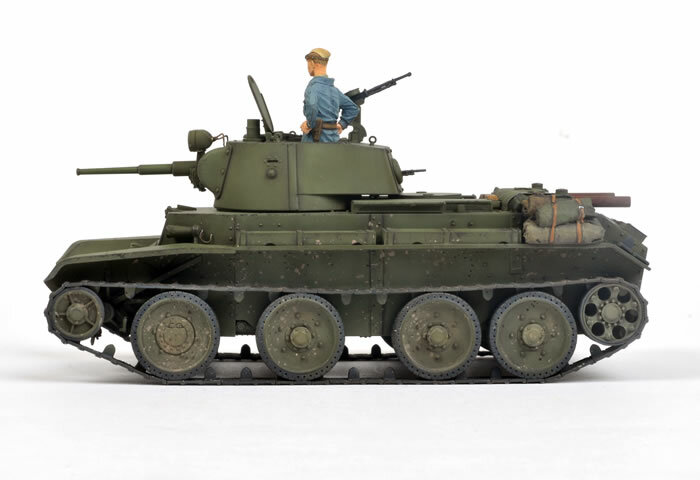 35309, converted to a BT-7M Model 1937 using the Rhino Armour Models resin update. 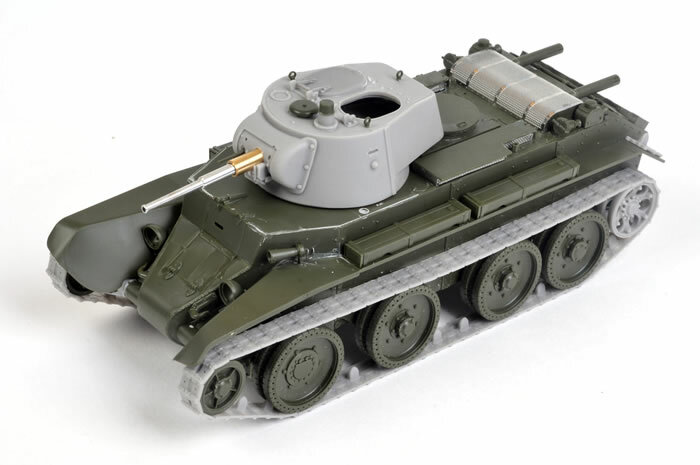 The Rhino conversion, available through A2Zee Models, supplies the new turret and short-pitch tracks in resin. I found this to be a very simple and enjoyable conversion that makes a substantial difference from the Model 1935. Aber's lovely 47mm turned metal barrel plus E.T. Model's night fighting lights were also added to the model. 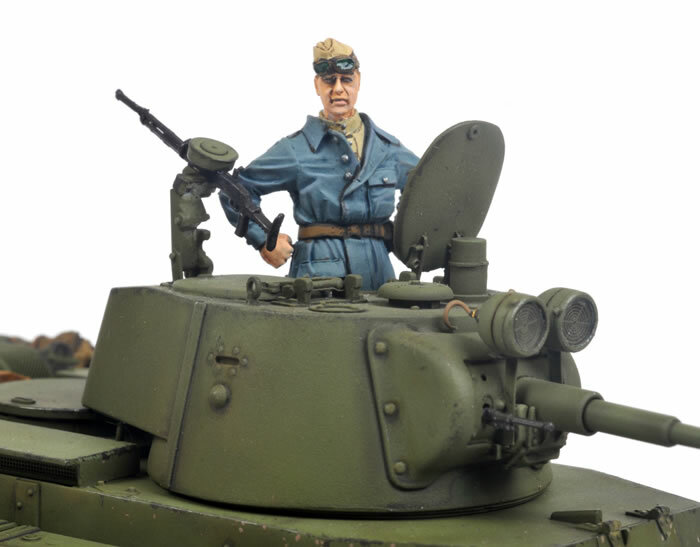 The DT-5 machine gun and mount on top of the turret were based on the parts in an old Eastern Express kit. The Commander is one of two figures from Alpine Miniatures Item No. 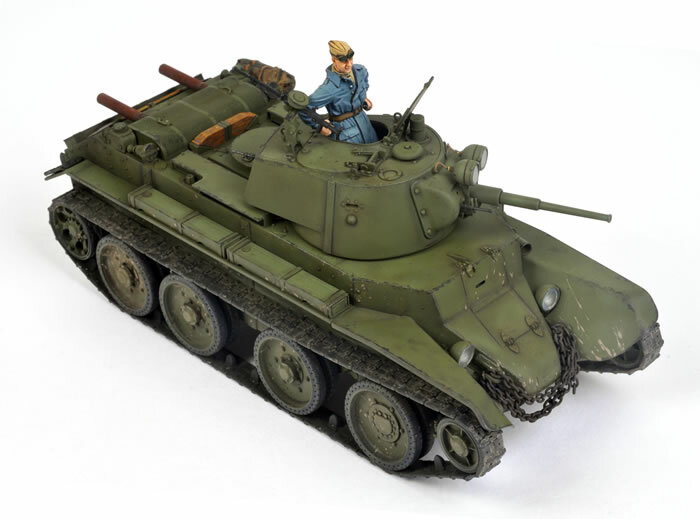 35014 – Russian Tank Crew Set – 1943-45. The construction and painting of this model will feature in a detailed article in Issue 73 of Model Military International magazine.